The look of concentration on the faces of athletes and musicians. 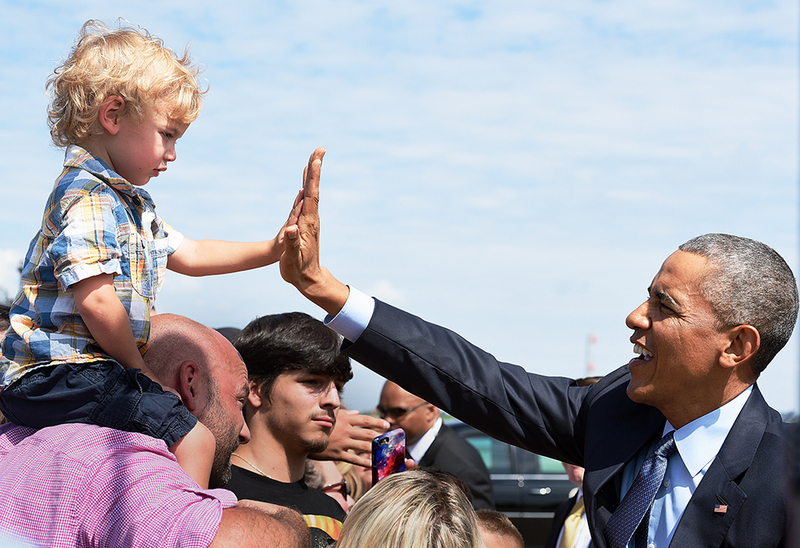 A knowing glance shared between family and friends. Joyous laughter captured during the moment of celebration. 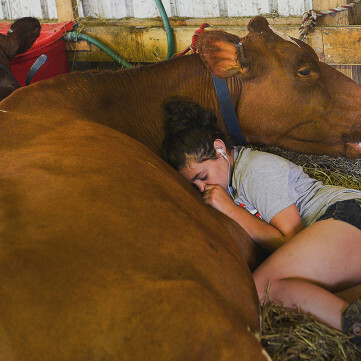 These slices of life, caught through the lens of photographers from the Pittsburgh Post-Gazette, highlight the human side of news stories from the Pittsburgh region during 2015. 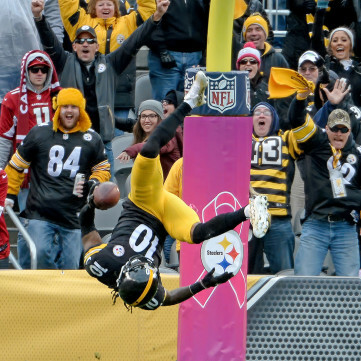 The Expressions: Photographs from the Pittsburgh Post-Gazette 2015 exhibit, on the History Center’s fourth floor, features 75 photos from 2015, including the work of more than a dozen photographers. 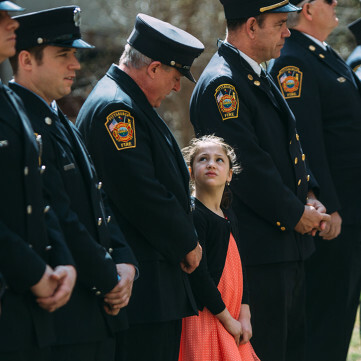 Carly Paige Blair, 7, looks at her father, James Blair, of Pittsburgh Fire Engine company No. 4, during a flag raising ceremony at Allegheny General Hospital in honor of National Donate Life Month. Blair worked with Daniel King, a City of Pittsburgh Firefighter who became an organ donor last year. 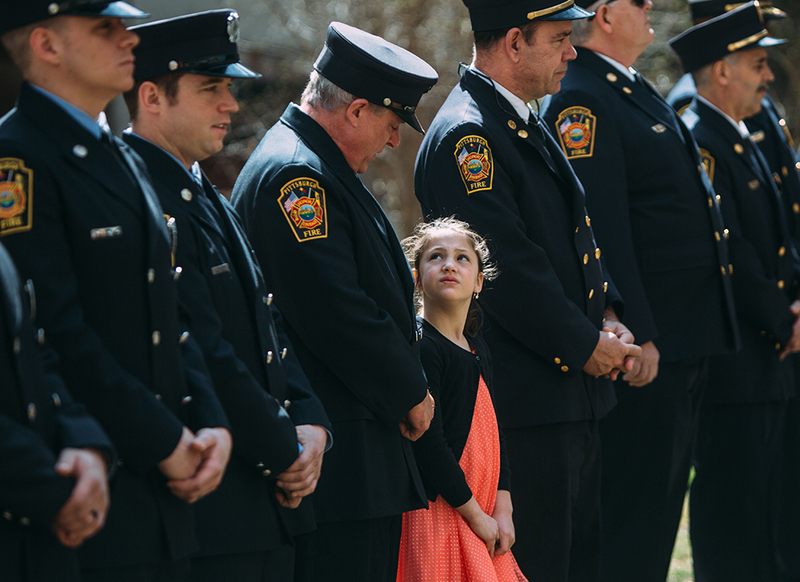 The King family and a group of Pittsburgh firefighters were on hand for the flag raising. Andrew Rush, Pittsburgh Post-Gazette, April 2, 2015. 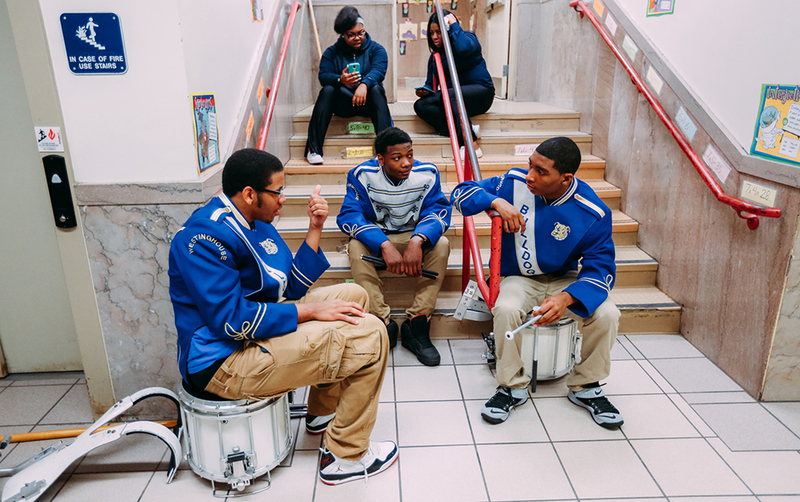 Members of the Westinghouse marching band take a break after performing during an assembly at Pittsburgh Lincoln elementary school that celebrated the school’s STAR status. Pennsylvania Acting Education Secretary Pedro Rivera visited the school for the assembly. 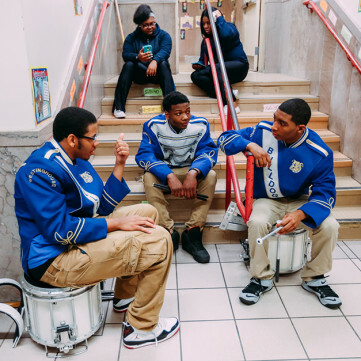 STAR stands for Students and Teachers Achieving Results and is a rewards and recognition program in the Pittsburgh Public Schools. Andrew Rush, Pittsburgh Post-Gazette, April 7, 2015. 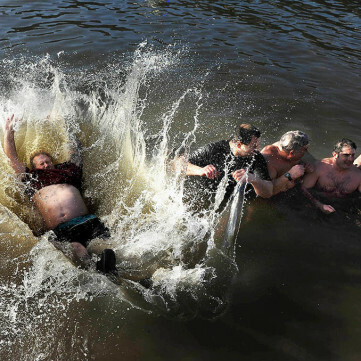 Hundreds of people jump into the Monongahela River from the Mon Wharf as part of The Pittsburgh Polar Bear Club's annual News Years Day plunge to benefit Project Bundle-Up on Thursday, Jan. 1, 2015. Michael Henninger, Pittsburgh Post-Gazette, Jan. 1, 2015. 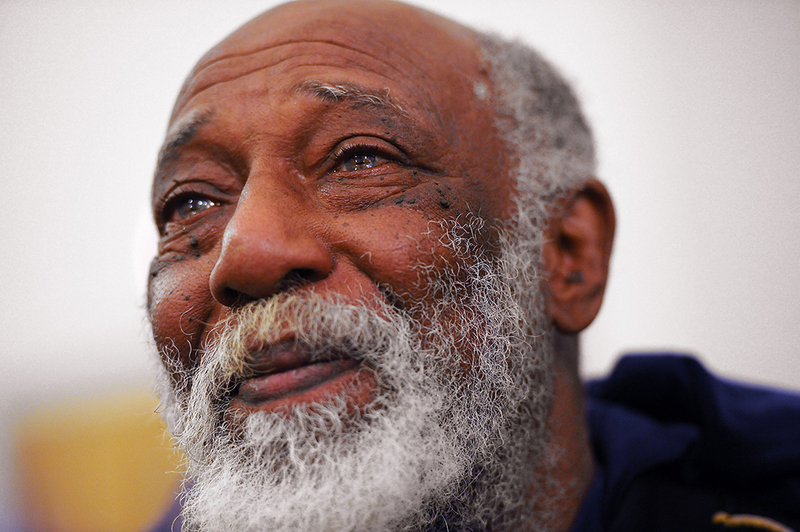 Al Johnson of Penn Hills gets emotional during "Moving from Marches to Measurables," a community meeting hosted by Pittsburgh Interfatih Impact Network ommunity members and Pittsburgh Police Chief Cameron McLay at Baptist Temple Church in Homewood on Feb. 26. 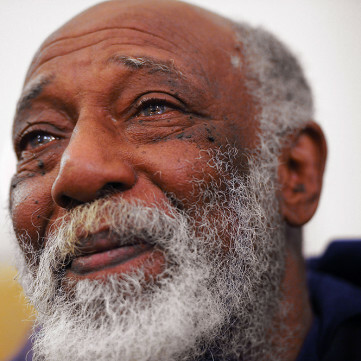 Mr. Johnson worked in the Los Angeles Unified School District for 20 years and saw the effects of violence by and against children and teenagers. 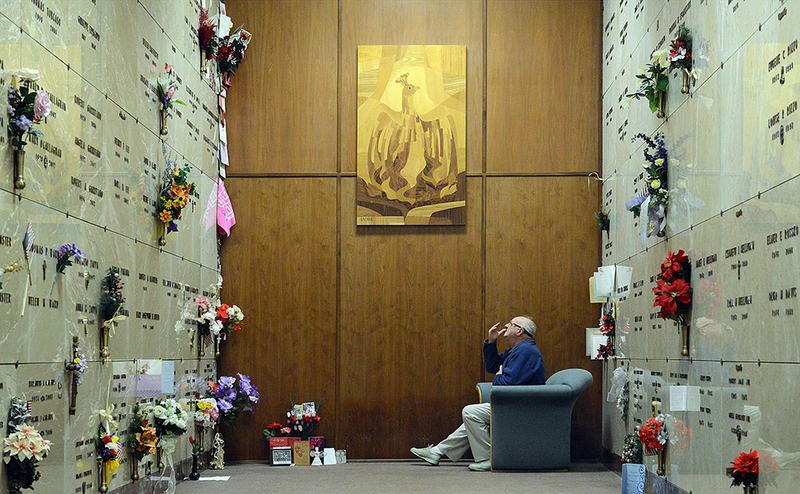 Rebecca Droke, Pittsburgh Post-Gazette, Feb. 26, 2015. 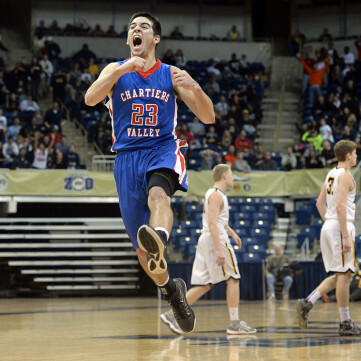 Chartiers Valley's Matty McConnell celebrates after hitting a half-court shot to end the third period against North Allegheny in the WPIAL class AAAA championship Saturday, Feb.28, 2015 at Petersen Events Center. Matt Freed, Pittsburgh Post-Gazette, Feb. 28, 2015. 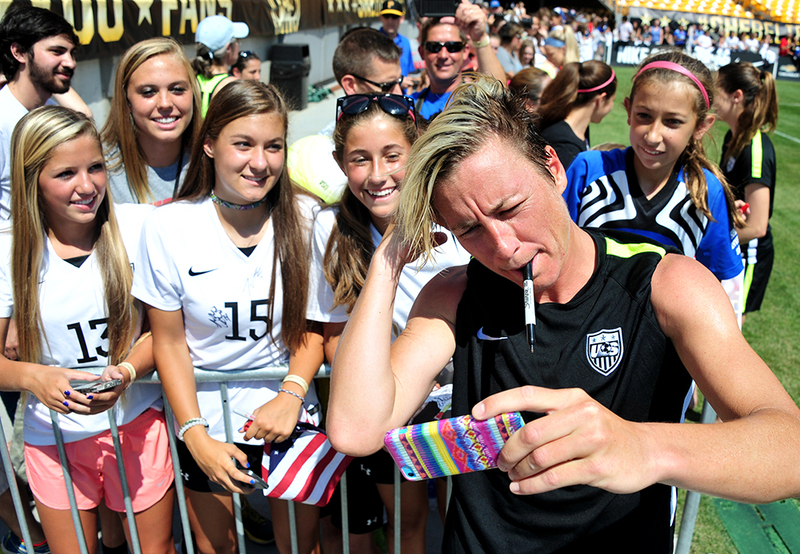 Abby Wambach fixes her hair before taking a picture with fans after practice at Heinz Field on Saturday, Aug. 15, 2015. The US Women soccer team will play Costa Rica on Sunday and the game marks the team's first match since winning the 2015 Women's World Cup. 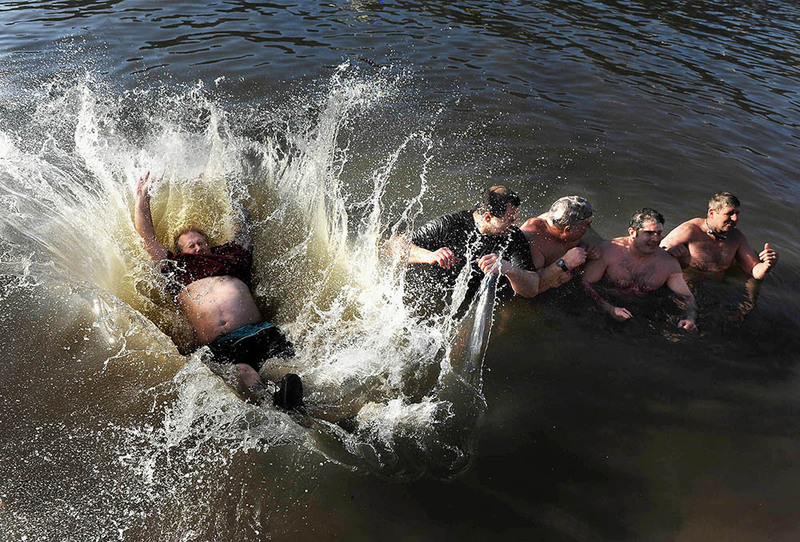 Lake Fong, Pittsburgh Post-Gazette, Aug. 15, 2015. 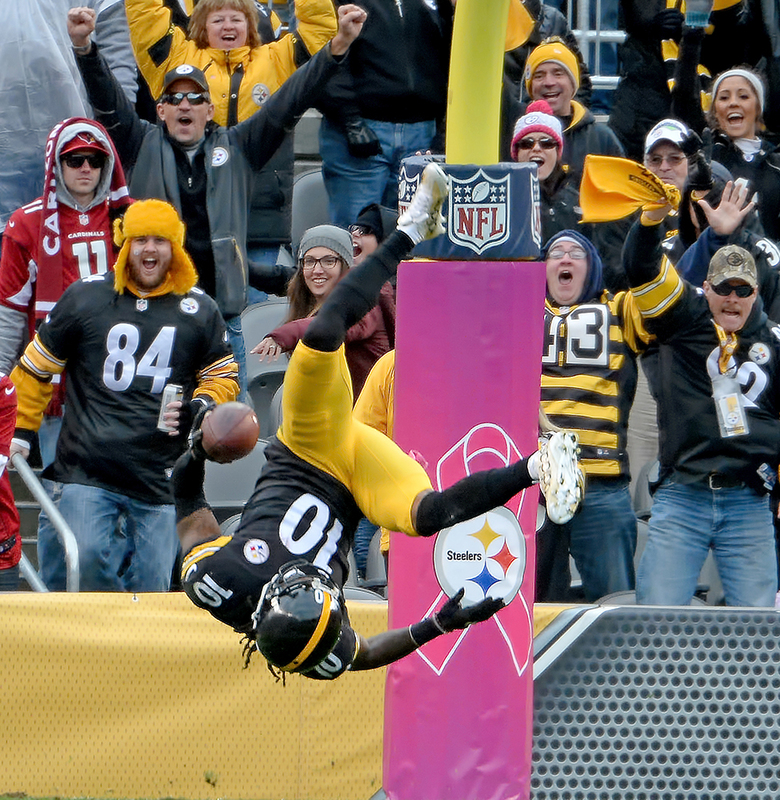 Steelers' Martavis Bryant leaps into the end zone for a touchdown against the Cardinals in the fourth quarter at Heinz Field. Matt Freed, Pittsburgh Post-Gazette, Oct. 18, 2015. 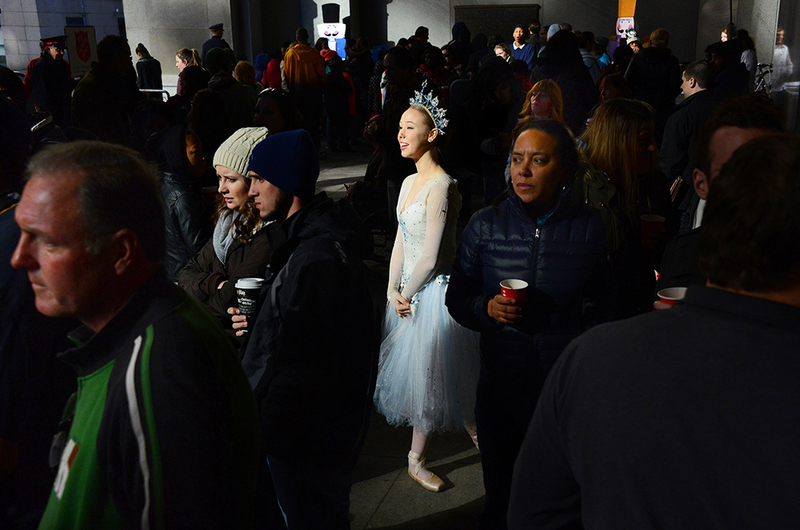 Gracie Swisher, 16, of Pittsburgh Ballet Theater participates into the officially Light Up Night ceremony at the City County Building. 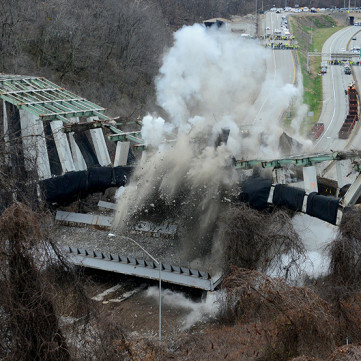 Lake Fong, Pittsburgh Post-Gazette, Nov. 20, 2015. 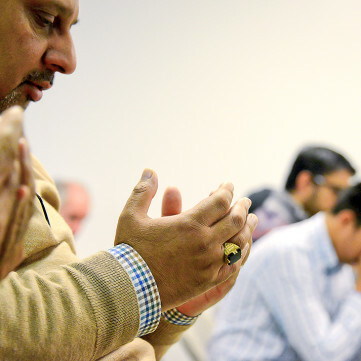 Ansar Khan, 50, of Johnstown, Pa., prays at the Ahmadiyya Muslim Community in Wilkinsburg. 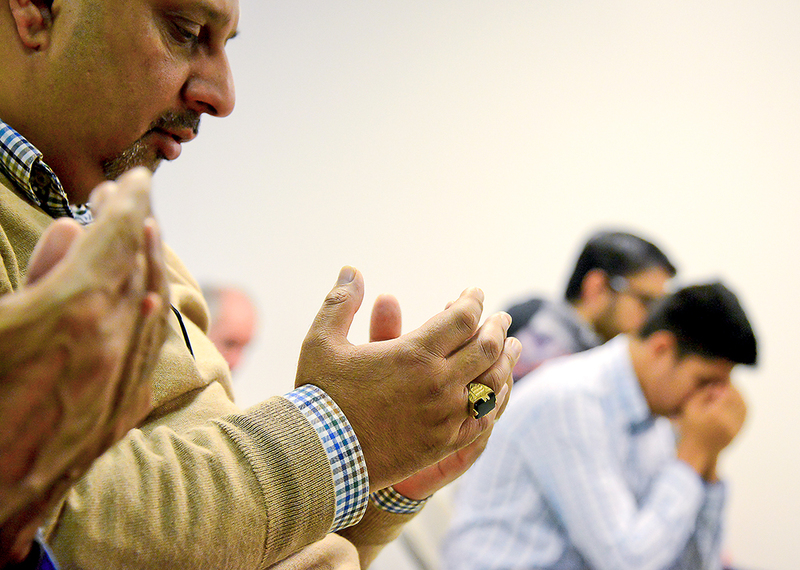 The Ahmadiyya Muslim Community holds a prayer vigil for San Bernardino victims after 14 were killed and 17 were injured in the attack. 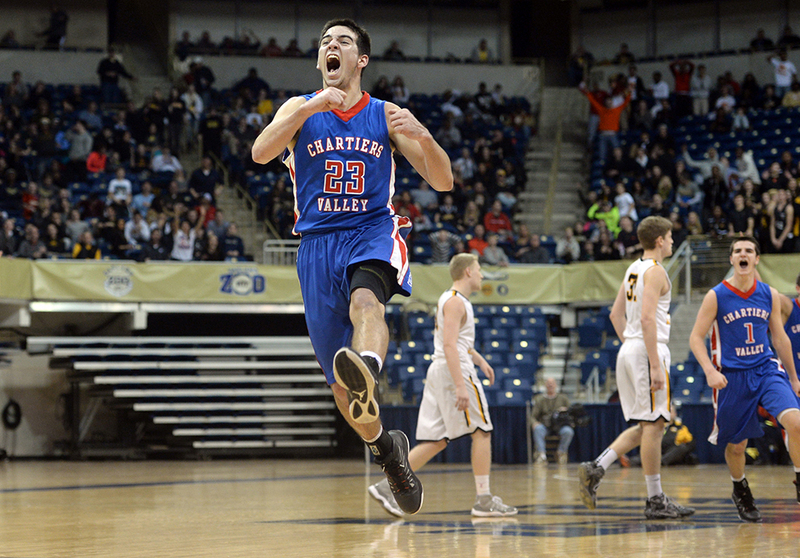 Lake Fong, Pittsburgh Post-Gazette, Dec. 19, 2015. 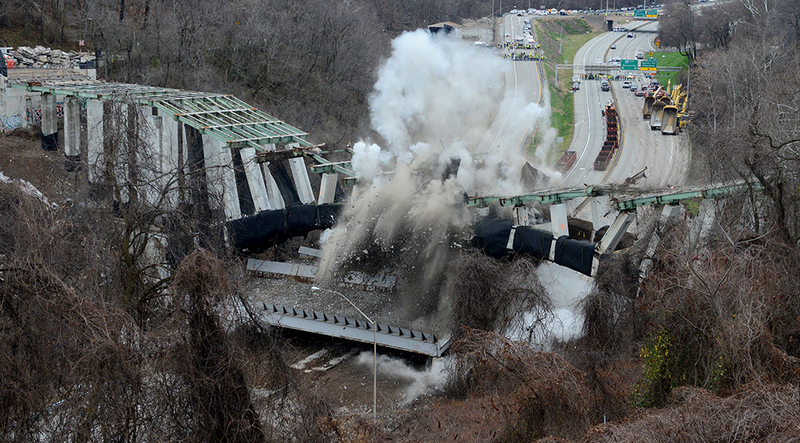 The Greenfield Bridge falls onto the Parkway East as explosive charges go off. Bob Donaldson, Pittsburgh Post-Gazette, Dec. 28, 2015. Alexandra Kochis performs a piece in the Pittsburgh Ballet Theatre's studio run-through of its "PBT Premieres" show. 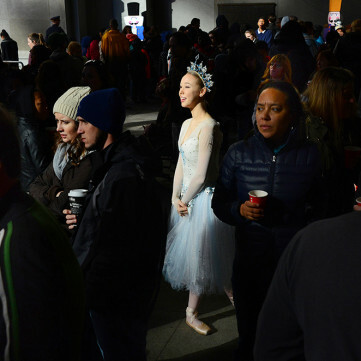 The show was performed onstage at the Benedum on March 6-8. Michael Henninger, Pittsburgh Post-Gazette, Feb. 27, 2015. 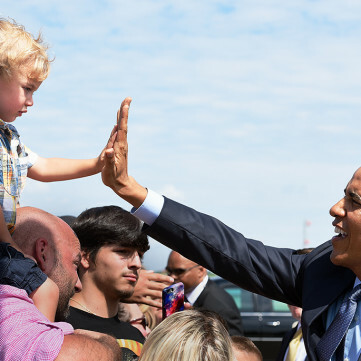 President Barack Obama greets Elliot Riley, 2, riding on the shoulders of dad Andrew after he arrived at the 171st air Refueling Wing on his way to speak at the VFW Convention at the David L. Lawrence Convention Center. Bob Donaldson, Pittsburgh Post-Gazette, July 21, 2015. 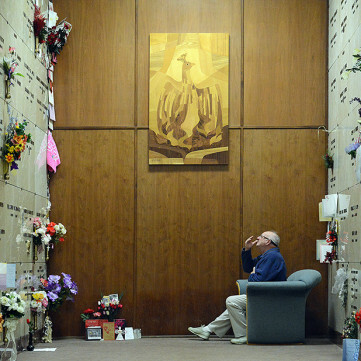 Jack Beiber blows a kiss to his late wife, Ruth, during his daily visit with her at Pittsburgh's Calvary Cemetery. Bob Donaldson, Pittsburgh Post-Gazette, Feb. 5, 2015. 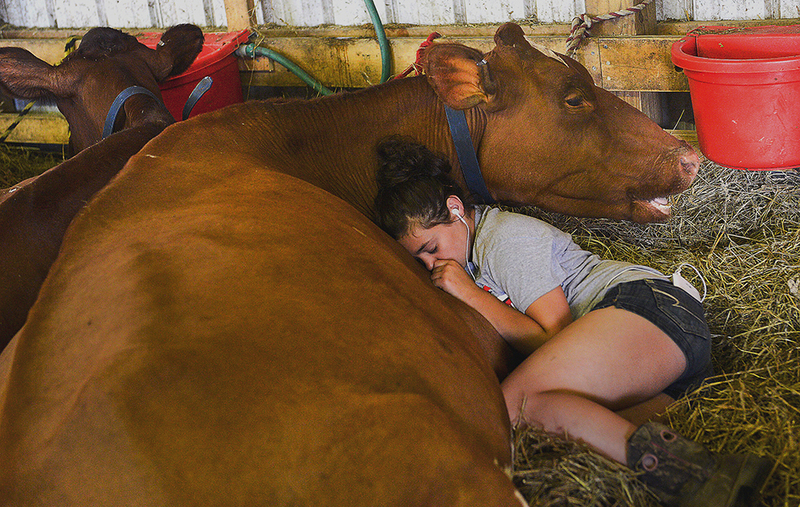 Emily Speer ,14, from Portersville, sleeps with "Frosty " an 8-year-old milking shorthorn, in the cattle barn at the Big Butler Fair, July 5, 2015. Emily had spent the morning learning showmanship for dairy cow judging. Cow, Larry Roberts, Pittsburgh Post-Gazette, July 5, 2015.